Vietnam, officially the Socialist Republic of Vietnam is the easternmost country on the Indochina Peninsula in Southeast Asia. With an estimated 90.3 million inhabitants as of 2012, it is the world's 13th-most-populous country, and the eighth-most-populous Asian country. The country is bordered by China to the north, Laos to the northwest, and Cambodia to the southwest, and the South China Sea to the east. Hanoi is the capital city of Vietnam. 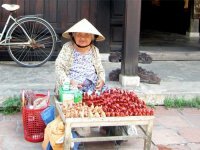 Vietnam is a preferred destination for travelers in Indochina Peninsula. Almost 7 million travelers visited Vietnam in 2012 only! 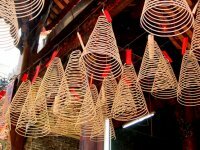 Vietnam offers travelers the rich history, culture, architecture, religion, nature, beaches, markets and what not! Over the years Vietnam has managed to be one most picked destination for a vacation and besides being one inexpensive country, it is safe to mention that Vietnam is also one of the safest destinations in Southeast Asia. Safety is one of the prominent factors for any travelers visiting to any new country and although all the main tourist cities and surrounds in Vietnam are mainly safe, it is always better to be careful about any scams and thefts. It is important to have at least some basic information on health before you begin to travel to any country. Some knowledge can surely help you travel safe and healthy. One of important preventive measures to take is getting updated with your routine vaccinations and take recommended shots. The official Vietnamese currency is known as dong abbreviated to VND. The bank notes come in denominations of: 1,000, 2,000, 5,000, 10,000, 20,000, 50,000, 100,000, 200,000 and 500,000 VND which is also the highest denomination note in Vietnamese dong and there are no coins in the Vietnamese currency system. 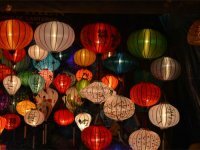 Vietnam is tremendously becoming one great holiday spot. Some international airports in Vietnam are: Cam Ranh International Airport: located 36 km (22.5 miles) south of Nha Trang, with increasing choices of flight including Hong Kong and Seoul. Da Nang International Airport: with international flights to China, South Korea, Japan, Hong Kong, Thailand, Cambodia and Singapore. A true year-round destination, you can plan to travel to any part of Vietnam in any season. 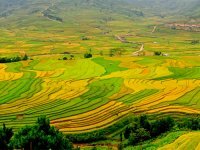 With huge regional diversity, Vietnam is over 1,000km (600 miles) in length and is defined by its tropical monsoon climate and based on the best time, it can be bit complicated if you plan to visit the whole country. 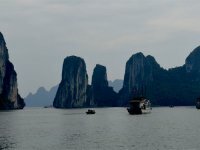 All foreigners to Vietnam are required to have a have a passport with at least six months of validity remaining and obtain a visa allowing you an entry to Vietnam. You can obtain Vietnam visa from Vietnam embassy in person or by mail. You can also obtain eVisa online or by email if you are a citizen of a country entitled to electronic visa application.